Refer a Friend to Receive a £25 Amazon™ Voucher! For high-quality photo booth hire from an experienced team of professionals, choose You Beauty Photo Booths. We serve most of the South West, so get in touch with our team of experts now! Without doubt the two most important values to You Beauty Photo Booths are the quality of service and having fun! Based in London, we serve customers in London, Surrey, and Kent, and the home counties, visiting events to help you create memories. The photo booths that we provide are some of the best in London, and they’re available for all manner of occasion. 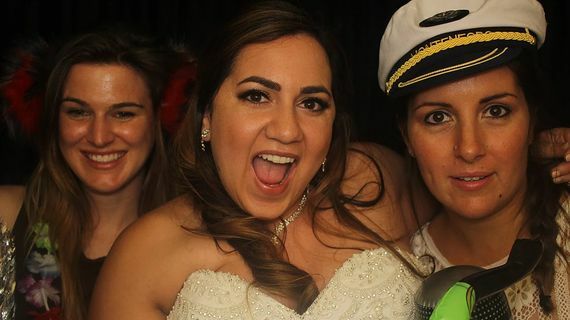 In our eyes, weddings are the perfect occasion to bring your friends and family together, so what better place to get photos of everyone than in our wedding photo booths? With our top of the range DSLR Camera, touch screen computer, and instant printer, we’re able to give your friends and family a copy of the photos as well as a second print for the guestbook. This means that the party host or bride and groom get to keep a fantastic collection of memories from the day as well. We can also record short videos, and put all of the photos and videos onto a CD after the event. For more information, call us on 07707 053834 or email info@youbeautyphotobooths.co.uk. We’d love to hear about your event and we will happily provide you with a quote.  What Happens in the Booth Doesn’t Stay in the Booth!  Lose Your Inhibitions Not Your Clothes! You Beauty Booths offer Standard, Premium and Bespoke packages, suitable for all your needs. We are happy to go the extra mile to tailor a package to suit your event. Packages start from £295 to £595 click the link below to find out more. Call us, in London, surrey, and kent, for more information on our photo booths and wedding photo booths.